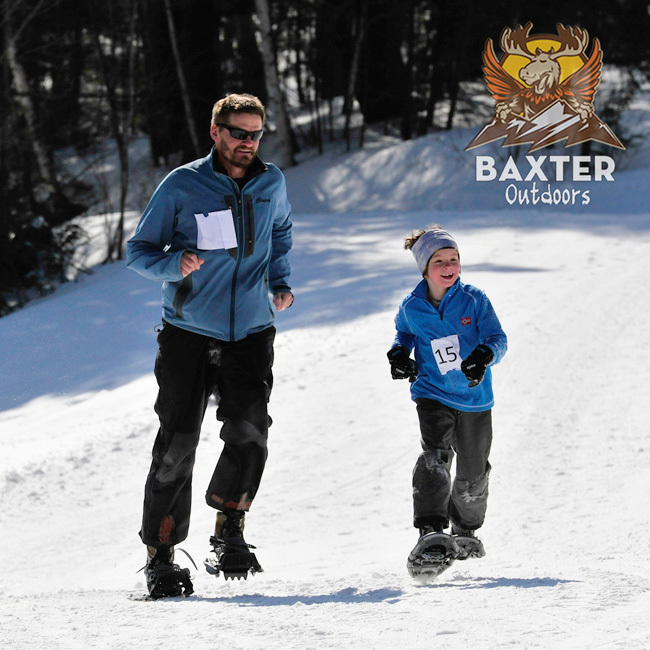 Baxter Outdoors continues the Packed Powder Series with a stop at Lost Valley Ski Area in Auburn, Maine and part of the Auburn Winter Fest. This classic local ski hill with over 10km of cross country ski trails will play host as we snowshoe and nordic ski our way through the woods of central Maine. The race can be tackled as a solo 5km snowshoe, solo 10km duathlon, or team 10km duathlon. The 5km snowshoe course will take place on single track trails throughout the woods. 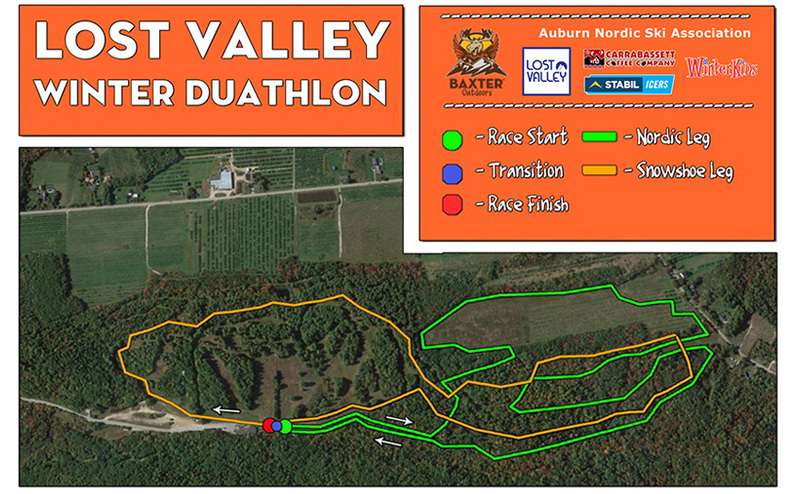 The nordic course will be set on the Auburn Nordic Ski Association trails behind Lost Valley Ski Area. All races will start and finish near the Lost Valley base lodge . **Please show up no later than 8:15am for a 9:00am shotgun start. *All racers must sign a liability waiver prior to competing. *All ages are welcome to race, though those under 18 y/o must sign a liability waiver on the day of the event in the presence of a responsible adult. *A cut off time for racers may be enforced. *In the instance of the race being canceled due to an act of god (blizzard, hurricane, etc) a refund will not be issued. This is very unlikely. *In the instance of the race being cancelled due to shortcomings of Baxter Outdoors, a full refund will be issued to all participants. How difficult is this event? This course is designed for beginner, intermediate and expert atheletes alike. The course has its fair share of ups and downs but its professional grooming and course signage make it easy to navigate. Those looking to walk will discover a beautiful course while those looking for a podium finish will be challenged by this course's consistent but subtle elevation change. Is the nordic portion of the race classic or skate ski? This race is a freestyle race meaning that you may either classic or skate ski. There will, however, be no distinction between the two when it comes to award categories. All skiers will be treated equally. So those hoping to win will likely want to choose a skate ski. Additionally, there is a .8 mile section of the course that will not have classic tracks, so classic skiers will have to ski out of the tracks on this section. Similar to other live events (concerts, sporting events, etc), all sales are final. If you will not be able to make your race, you are more than welcome to give your ticket to a friend or family member. Please contact our office with any issues or questions. Can kids participate in this event? All ages are welcome to attend this event. Depending on the venue, age restrcitions may apply on the Baxter Brewing Co after party. Please see the event details tab for information on the afterparty and any applicable age restrictions.